Earlier this year, Payson launched the new payment solution Payson Checkout 2.0, which is designed to make the shopping experience faster and provide better conversion. In connection with the growing number of online retailers that have chosen to start using the new solution, Payson releases a transparent and scalable pricing model. – We have a demand from customers who want to see a long-term solution from the beginning. Many people associate Payson’s payment solutions with startup businesses but in reality, we have customers of all sizes. 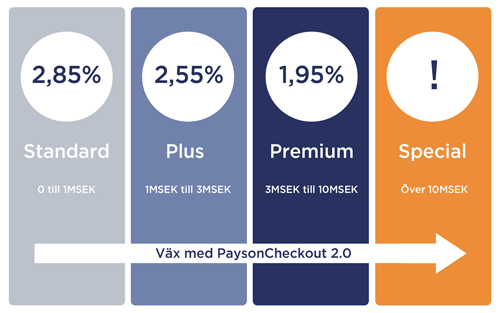 The new pricing model is a better reflection of how our payment solutions also fit major e-shops. We are now offering a lower prize for customers who have an increasing turnover, says Per Bodell, Payson’s CEO. Read the full press release here (in Swedish).